Event at Accent on Languages with the French-American Chamber of Commerce in San Francisco! Join us for a great meetup and networking evening in the East Bay! What would be a French event without great food? Come and taste special treats from La Fable, the new French Restaurant in town! For over 14 years, Accent on Languages has provided high quality translation, interpretation, transcription, and multilingual desktop publishing services for major corporations, local businesses, and State as well as Federal agencies. La Fable is North Berkeley’s new French restaurant owned by Franck and Isabel Bochaton, two Southern France natives. May 20 6Pm-7PM. Free participation. @ Accent on Languages, 1840 Alcatraz avenue, suite C1 — Berkeley (Ashby BART). Fred Schendel is a master stained glass artisan from France who is visiting California in order to learn about the great skills of the Bay area stained glass masters. He has been working with glass for 15 years, with apprenticeships in Paris, Barcelona, and Prague. While in Prague, he worked at one of the oldest heritage restoration studios in Czech Republic. He has restored windows in some of Prague’s most well known landmarks, including St. Vitus Cathedral in Prague Castle. His studio in Provence, Chefraled in Vitraux, specializes in both traditional lead came techniques and modern, art nouveau inspired Tiffany techniques. He regularly teaches classes and has offered art history walking tours and presentations. 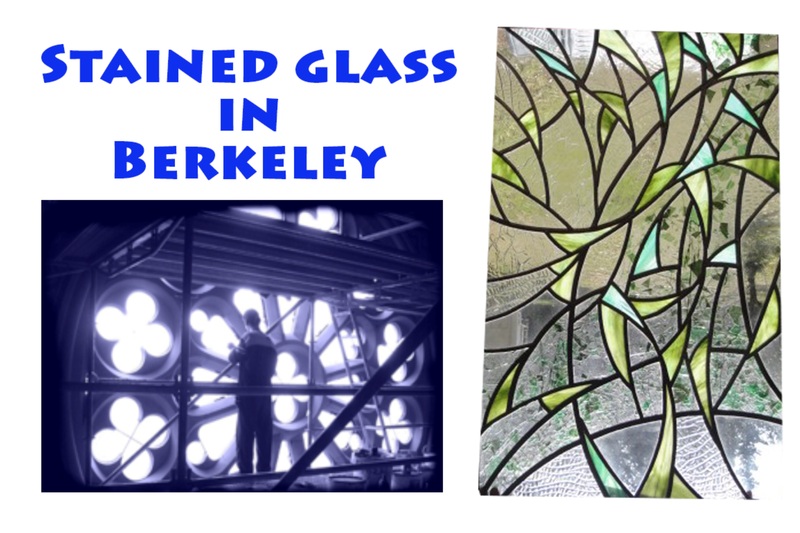 On May 20, he will offer a presentation (in French and English) about the history of stained glass in the office of Accent on Languages on 1840 Alcatraz avenue in Berkeley. 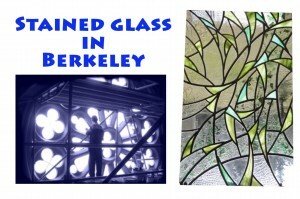 On May 27, he will lead a hands-on stained glass workshop (in French and English) at the Stained Glass Garden in Berkeley. This will be another great chance to learn about the history of stained glass while creating your own small work of art. You can visit Fred’s website to learn more about his work: chefraled.eu. Please let him know if you are interested in attending the class. Also, feel free to forward this information to anyone else who might be interested! You can contact Fred at chefraled@hotmail.com. Les grandes heures du vitrail. 20 mai 6Pm-7PM. Participation gratuite. @ Accent on Languages, 1840 Alcatraz avenue, suite C1 — Berkeley (BART Ashby). Fred Schendel est un artisan du vitrail français de passage en Californie afin de découvrir le savoir faire des maîtres verriers de la baie de San Francisco. Depuis 15 ans, il explore la matière du verre et l’art du vitrail en apprenant son métier a Paris, Barcelone et Prague. Il a travaillé dans un vénérable atelier de restauration de République Tchèque et a collaboré à des projets concernant le patrimoine tchèque et notamment la cathédrale St. Guy du château de Prague. Son studio ‘”Chefraled in Vitraux” en Provence est spécialisé à la fois dans la technique traditionnelle, au plomb, et modern, comme la technique Tiffany. Il enseigne auprès d’enfants et d’adultes et propose des visites thématiques et des présentations de l’univers du vitrail. Le 20 mai prochain aura lieu une présentation sur les grandes heures du vitrail au sein des locaux de “Accent on Languages“ 1840 alcatraz a Berkeley. Le 27 mai mai, Fred organise également avec le studio “stained glass Garden” de Berkeley un cours d’initiation (en français et anglais) a la technique Tiffany. Vous aurez ainsi l’occasion de repartir avec votre propre création et découvrir l’univers du vitrail. Si vous voulez en savoir plus, rendez vous sur le site www.chefraled.eu ou n’hésitez pas a le contacter par email : chefraled@hotmail.com.